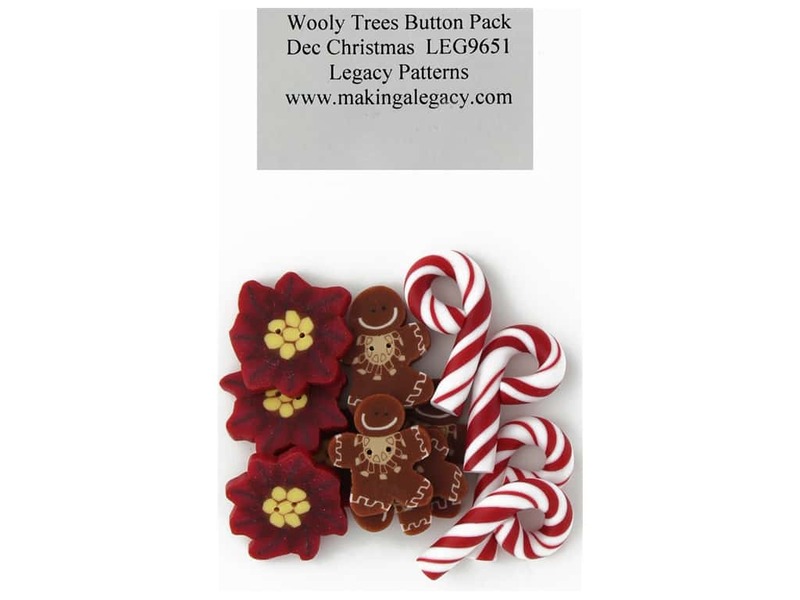 Description: Legacy Patterns Accents Wooly Trees Button Pack December Christmas- Polymer clay buttons to be used with A Year of Woolly Trees Patterns. Includes four each of gingerbread men, candy canes, and poinsettia flowers. Use with LGC9639 Wooly Trees December Christmas Pattern, sold separately. See more Legacy Patterns Accents. Legacy Patterns Accents Wooly Trees Button Pk Dec -- CreateForLess 3.00 out of 5 based on 1 ratings. 1 user reviews. I'm just wondering why this are so expensive? is it a typo? $23.99? That is the correct price - which does seem high for buttons. It is possible it is because of the way they are constructed from polymer clay - the flowers and gingerbread men look like highly detailed millefiori beads which would be difficult to produce. Otherwise, it is not clear why.